The Harvard Club of Naples website contains privileged information. For security purposes, alumni, students and guests must login to the HCN site. Harvard is enhancing its data security across all platforms. HarvardKey provides best-in-class security features, ensuring your identity and personal information are protected at the highest level. Beginning September 22, when you visit the Harvard Club of Naples website, you will be prompted to create a new login name and password when you register for a Club event, pay membership dues, update your profile, make a donation to a Club, or search a site’s membership directory. Step 1: The login function is available using the sign in link at the top of the website: http://hcnaples.clubs.harvard.edu/user.html?op=login. 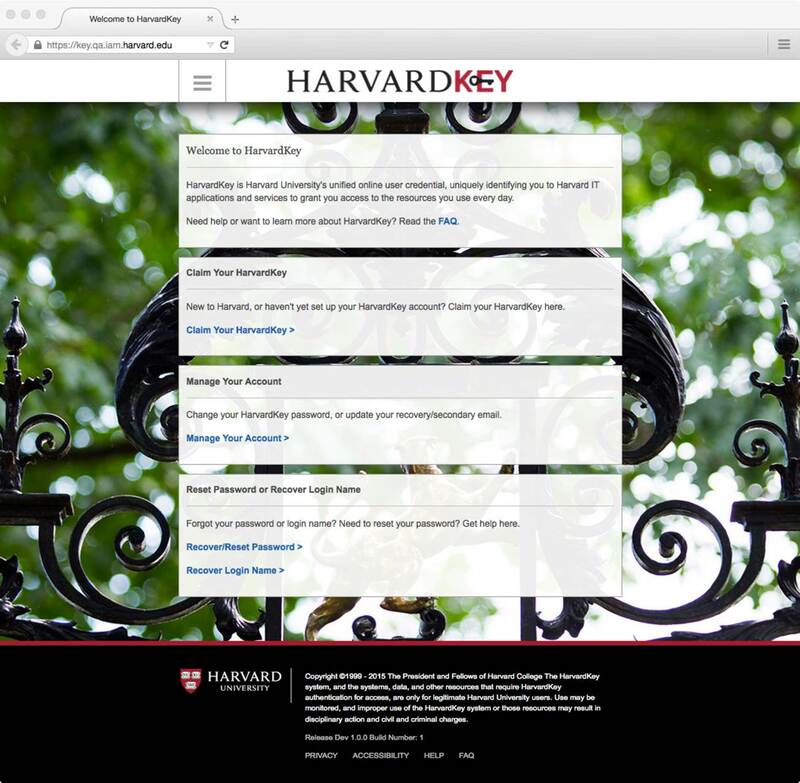 Step 2: If you have already claimed your HarvardKey, click the HarvardKey Alumni Button and put in your HarvardKey username and password. You will then be redirected back to the Harvard Club of Naples website.. If this is your first time using the HarvardKey, you will need to click the link that says "Claim Your HarvardKey". Continue to follow the steps below. You will only have to do this once. Your HAA ID number can be found in HarvardKey-related emails that you have received as well as in the footer of recent emails from the Harvard Alumni Association, including the Harvard Alumni Gazette and eVENTS. Step 4: Confirm Your Identity. After you supply your HAA ID, last name, and degree year, claiming your HarvardKey should only take a few minutes. Step 5: You will receive an email confirmation at the email address the HAA has on file. 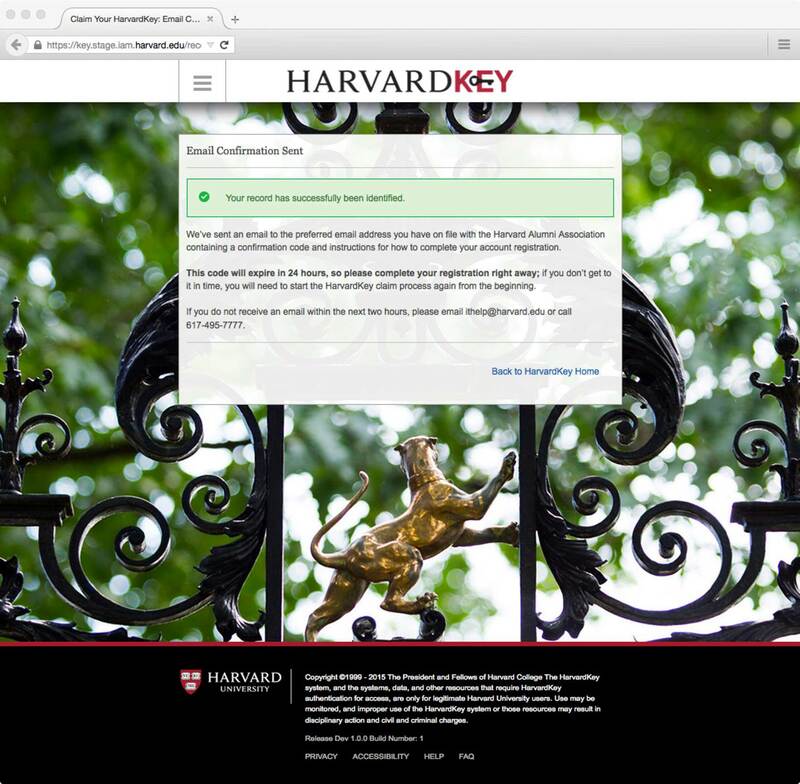 Step 6: Enter Your HarvardKey Confirmation Code. Step 7: Set your Login Name. Step 8: Add Your Recovery Information. Step 9: Set Your HarvardKey Password. 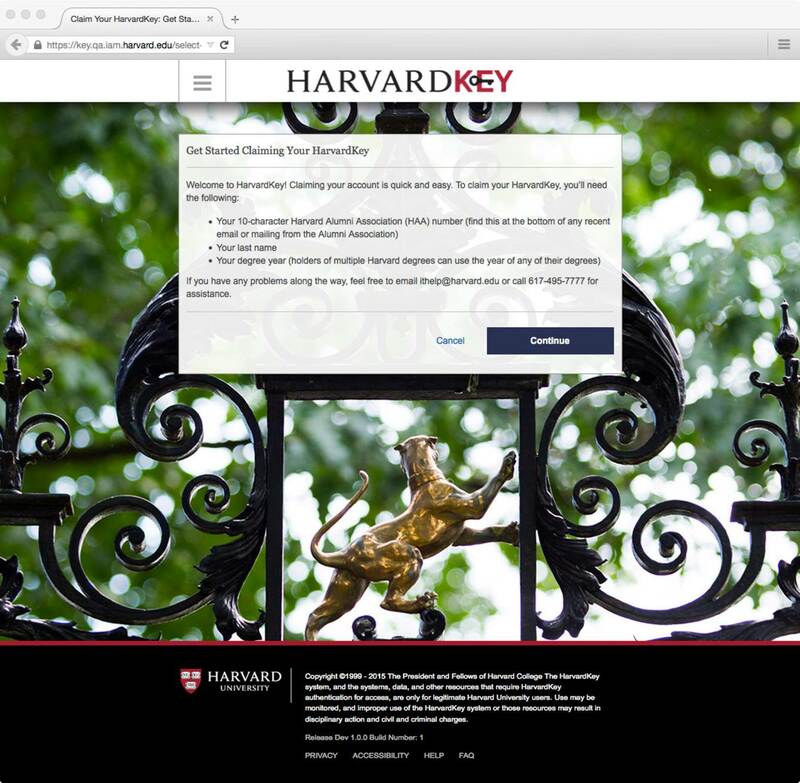 Step 10: You have now claimed your HarvardKey and you will be redirected back to the Harvard Club of Naples website. If you have forgotten your HarvardKey login name or password, you can have a reset code sent to the recovery email address(es) that you set up when you claimed your HarvardKey. Simply visit key.harvard.edu and select “Recover/Reset Password” or “Recover Login Name” to get started. View an instructional video about how to claim your HarvardKey above or at alumni.harvard.edu/harvardkey. For additional FAQ's about HarvardKey - please click here. If you have any trouble signing in, please email the Harvard Alumni Association at haa_alumnihelp@harvard.edu.